Home 2022 aspire colomer football qatar world cup ASPIRE Academy: Qatari Aspirations or Underhand Tactics? 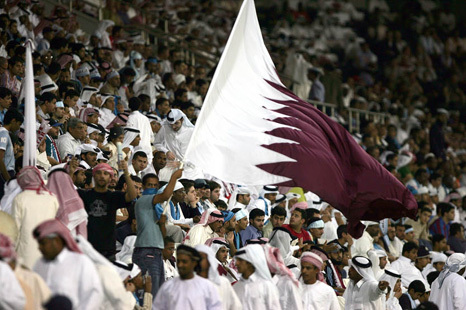 ASPIRE Academy: Qatari Aspirations or Underhand Tactics? Ever since they astonishingly won the right to hold the 2022 edition of the World Cup, Qatar has been under the spotlight in the footballing sense. For a country that has never qualified for a World Cup and who have only just qualified for the knockout stages of the Asian Cup for the first time, it was an unbelievable decision. However, there is one foundation lurking in the background that was a key factor in winning the bid, and is set to play an even bigger part in attempting to develop Qatar into a force that will not be embarrassed when the eyes of the world are on the country in just over ten years time. That foundation is the ASPIRE Academy. Established in 2004 by the ruling Al-Thani family, it set itself the dual aims of identifying and transforming promising student athletes into world-renowned champions across a wide range of sports. As with many projects backed by the oil-rich elite, no cost has been spared in looking to develop a world-leading location. 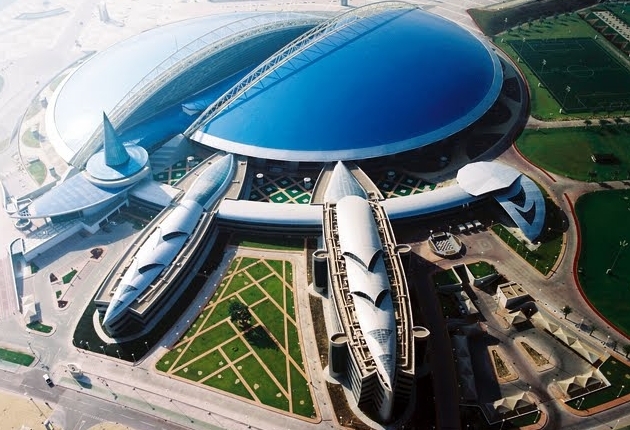 The ASPIRE Academy is housed in state-of-the-art facilities, based around the world’s largest purpose-built indoor sports dome. With the upcoming World Cup, football has been the sport that they have predominantly been focussed on, and this is demonstrated by the fact that they have hired 19 dedicated football coaches on permanent contracts. The standard of the coaches that they have hired is very impressive as well. The likes of Arnold Rijsenburg, responsible for spotting and developing the likes of Axel Witsel, Marouane Fellaini and Romelu Lukaku; Paul Nevin, the architect behind Fulham’s academy; Luis da Silva, the former first team coach at Porto; Felix Sanchez Bas, a former Barcelona academy coach, who worked closely in the development of the likes of Fabregas and Bojan. However, the jewel in their footballing staff is undoubtedly Josep Colomer. Colomer was formerly a scout at Barcelona and was the man responsible for discovering and bringing Lionel Messi to the Nou Camp. As head of scouting at ASPIRE, he is tasked with discovering the stars of the future from around the globe and bringing them to the academy. The centre-piece of his plan is the ASPIRE Football Dreams project. It is the largest talent search in the history of football, testing over 600,000 aspiring young footballers from around the globe each year. From these 600,000 youngsters, only 23 will eventually make the cut for the opportunity to train at the academy alongside the Qatari students. Students at the academy are enrolled from the early age of 12. As well as receiving a full high-school education, they will also receive the benefits of coaching from the professional coaching staff and cutting-edge sports science in long 12 hour days. As well as this, they are constantly being tested against some of the best youth teams from around the world. In the past twelve months alone, they have played friendly matches against Real Madrid, Barcelona, Manchester United, Liverpool, Porto and Brazil. With this preparation and opportunities, it gives the students a wonderful chance to maximise their talent. The ASPIRE academy also sends teams to tournaments abroad during the summer. This summer, they competed in the prestigious Milk Cup youth tournament in Ireland. ASPIRE cruised through the group, scoring 13 goals without conceding, before crushing Desportivo Brasil 6-1 in the semi-final. However, the icing on the cake would come against the favourites, Manchester United, in the final. Against a team that included two FA youth cup winners, ASPIRE turned on the style to inflict a 5-1 defeat on the English side, after a hattrick from Ibrahima Drame. Despite the success at the youth level, the ultimate ambition is to provide graduates who can go on and represent Qatar at the national level. In September 2010, they saw their first graduate make their debut for the national team. Fahad Khalfan al Bulushi came on as a second half substitute against Bahrain to mark a potential turning point in Qatari football. Since then, they have had a further four graduates appear for the full national side and have 13 representing the U23 team from just three graduating classes. They have also produced players for Ghana’s world-beating 2009 U20 World Cup side, Nigeria’s U17 World Cup runners-up squad in 2009 and South Africa’s current U17 team. By the time the 2022 World Cup rolls around, there will have been a further 11 graduating classes. However, there is more under the surface than would appear. The Football Dreams project is represented in 15 countries around the world. Interestingly, six of those are in countries represented on FIFA’s powerful 24-man executive committee. Out of those countries in South Asia, Latin America and Africa with members on the committee, Brazil and Argentina are the only ones without one of their projects. 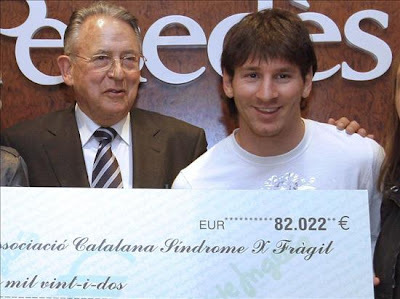 Cynics have suggested that they used this to influence the vote for the 2022 World Cup. Shortly before the vote, a new project was opened in Paraguay with the help of Paraguayan CONMEBOL President, Nicolas Leoz. Conveniently, Leoz was believed to have been instrumental in shepherding the South American bloc of countries to vote for the Qatari bid. It has also been suggested that the ASPIRE academy is part of an underhanded policy to naturalise foreign athletes. Qatar has been known in the past to have offered passports to top athletes – many African distance runners and Bulgarian weight-lifters have switched allegiance over the past decade. Indeed, in their last World Cup qualifying match, the Qatar squad included no fewer than 11 players that had been born outside of the nation. Despite what they may claim, there is a convincing argument. Brought over at the age of 12, spending five years plus in Qatar during their teens and living and studying alongside Qatari students, many of the players may well be tempted to switch. Indeed, one foreign ASPIRE graduate, Daniel Goma from Guinea, has already been called into training camps with the Qatari national side and even played for the Qatari Olympic side in the 2010 Asian Games. If it were a purely humanitarian enterprise, the ASPIRE academy would be well-respected around the globe. However, despite all the good that they do for the select group of students that are selected each year, it is difficult to see past it as a tool for winning the vote for the 2022 World Cup, and as a part of a possible plot to import young foreign athletes to populate the team for that tournament. Of course, it will produce some talented local players - 50% of each class is made up of Qatari students. However, its star graduates will almost certainly be the foreign students and it will be interesting to note how many of them go on to represent Qatar, rather than their home country. Djokovic: Next Federer or Wilander? Is 'Negrito' a racial term?